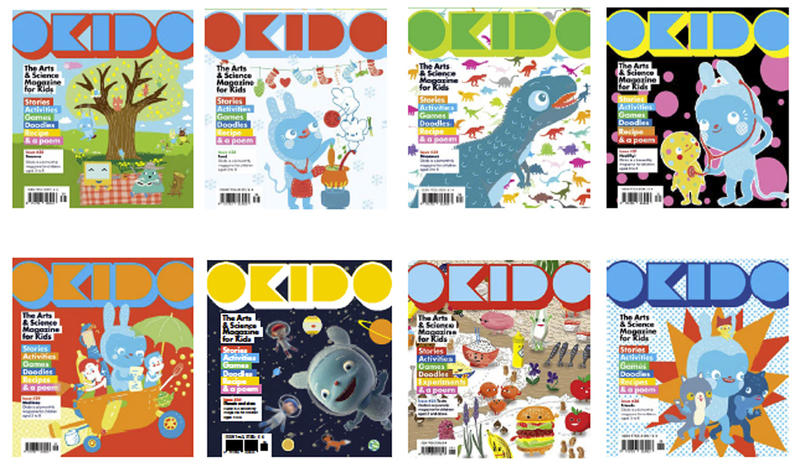 Okido is a magazine aimed at children between the ages of 3-8yrs old. It combines the subjects of art and science in a brilliantly fun and exciting way, through stories, games and activities. The event began with Sophie explaining how she had come to create this inventive and inspired venture. 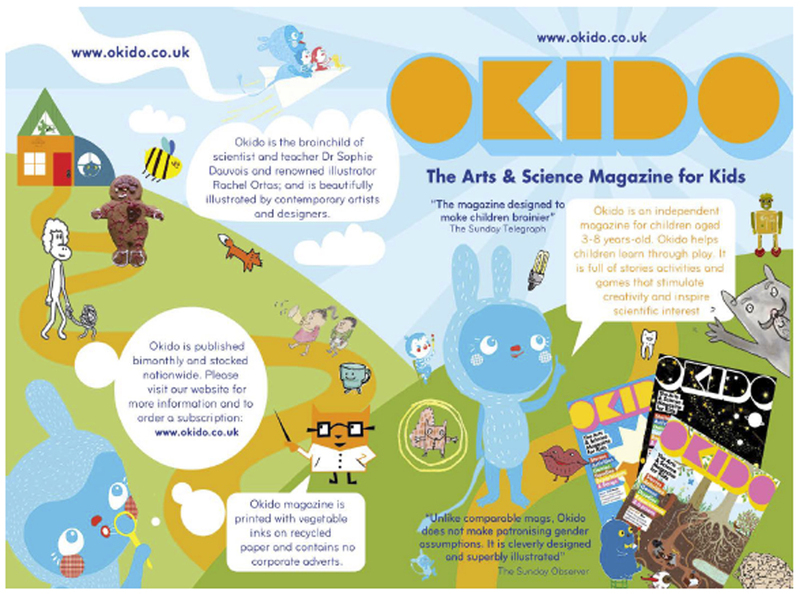 The other founder of Okido is Rachel Ortas, who Sophie had met through working together on projects for the Wellcome Trust. 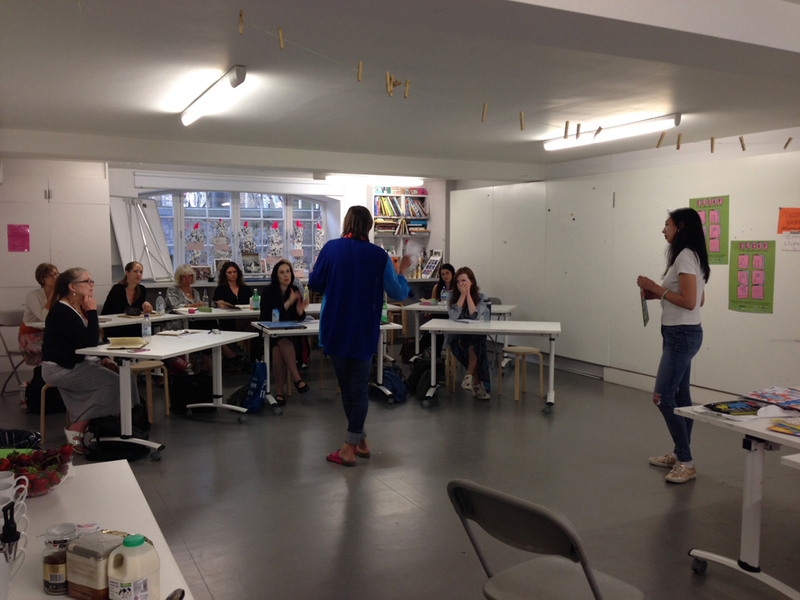 Sophie’s background is in Research, Science and Education, whereas Rachel is an artist, who was at the time Artist in Residence at St Martins. 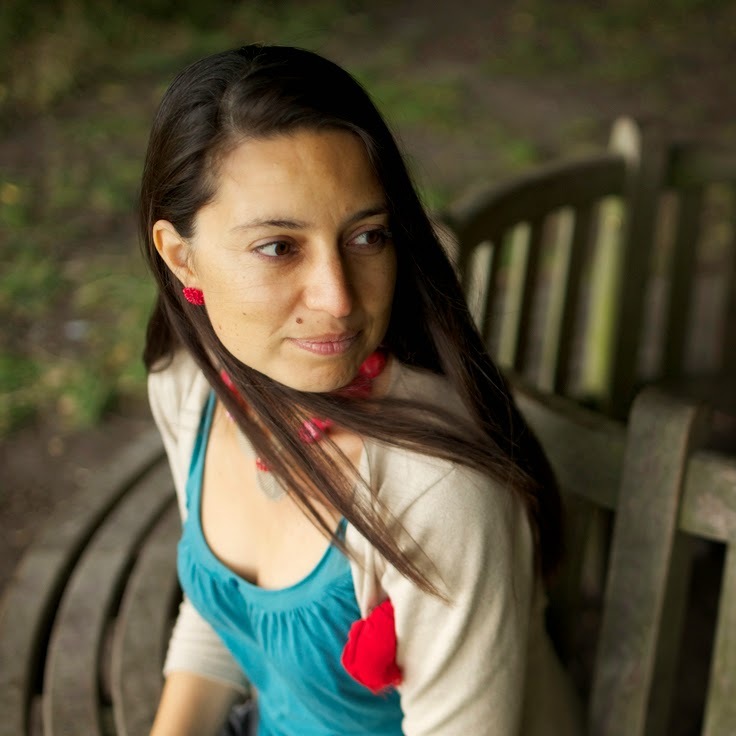 In 2007 inspiration struck them both and though Sophie said that they knew very little about publishing, Sophie and Rachel followed their passion to create this vocational children’s magazine, initially with the help of funding from the Wellcome Trust, and then further fuelled by their success. They have not looked back since. Sophie had a very refreshing way during her presentation of admitting to pitfalls and mistakes that they had made along the way, regarding matters such as the initial size of the product and the lack of information on the front cover. 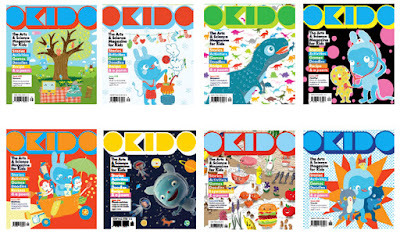 However she embraced these nuggets of valuable feedback whole-heartedly, and the Okido team have gone on to create a superior and successful publication, which has moved from quarterly, to bi-monthly, through popular demand and now it even has a TV show. Maggie had joined the team five years ago, first on work experience, but then she went on to being made Associate Art Director and she is a great asset, contributing broadly to the consistency of style and design, as well as creating lots of the activities and games. 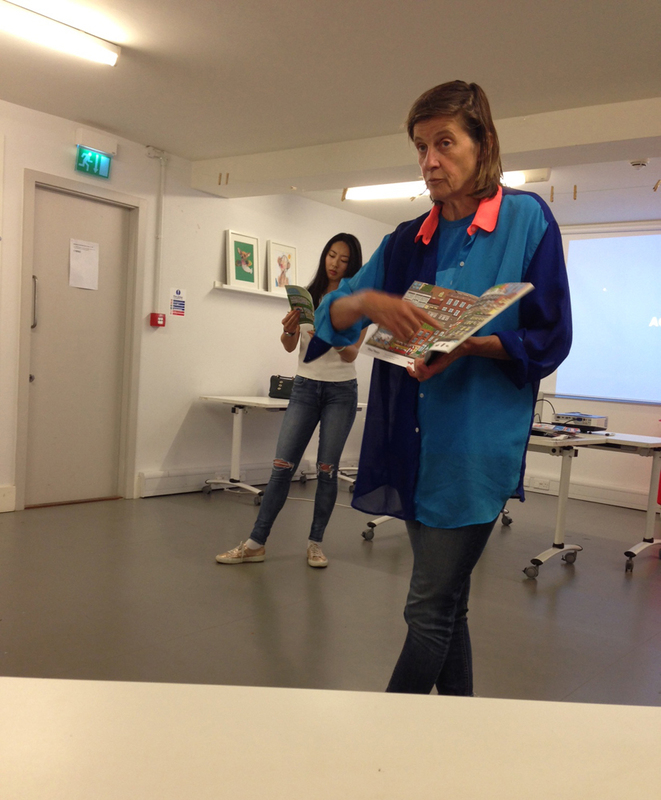 Her enthusiasm for the magazine, together with the easiness between herself and Sophie, speaks volumes about the spirit and the sense of collaboration that come across from this enterprise. 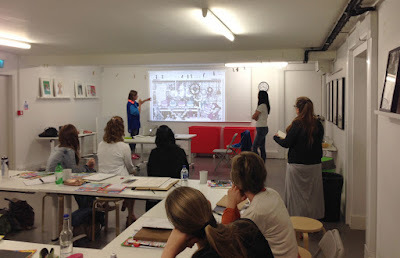 After the talk, Sophie and Maggie then gave us an Okido challenge, to create a doodle game relating to machines, that we had to complete in 20 minutes. I usually fret about on- the-spot activities, but this time I didn’t hesitate and had fun inventing a little game. (Finally my science brain came in handy!) We, the participants, had also been given a brief in advance of the event, which we were invited to carry out if time permitted, though it wasn’t imperative. So, after our tea break over half of us talked through our ideas that we had drawn up, no matter at what stage we’d managed to get them to. For example, I only managed to create a ‘very rough’ rough in pencil of my idea, whereas others had produced quite wonderful coloured pieces. Sophie and Maggie were very receptive and enthusiastic about each of our work in turn, inviting us to send the work to them once we’d taken on board their feedback. 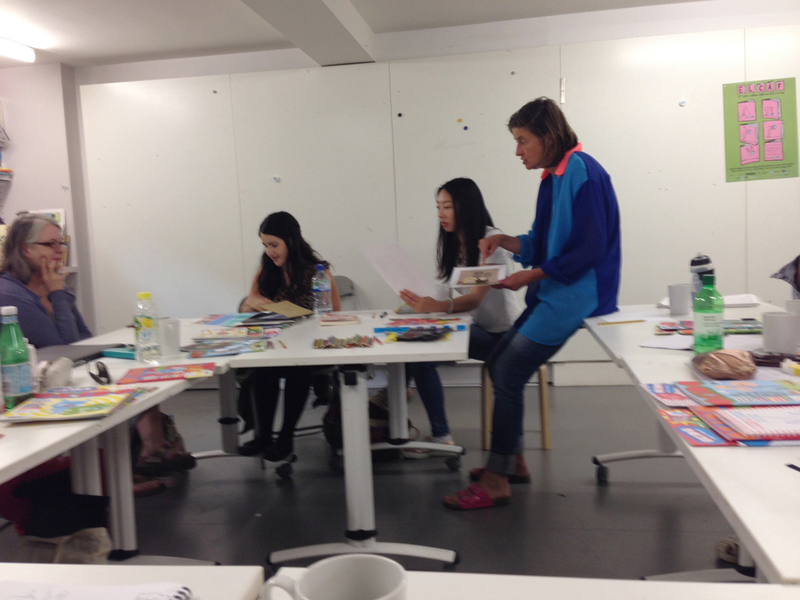 I think that by the end we all felt encouraged and buoyed by the experience. This turned out to be one of the best workshops I’ve attended and once again, we had the wonderful Anne-Marie Perks, our Illustrator Co-ordinator, to thank, so… Thank you kindly Anne-Marie, Sophie and Maggie! It is difficult to say science homework answers with correct reasons. 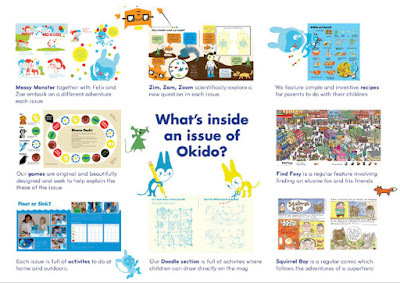 We should must involve in this homework to make it best forever.